Young and Restless star found unresponsive. April 5, 2019: In an interview with People the late Young and the Restless actor Kristoff St. John’s ex-wife Mia St. John wanted to make details clear surrounding the court filings regarding Kristoff St. John’s will and stated, “There is a lot of incorrect reporting. Kristoff did not have a will. What was found were pages in a journal. There were things that were scribbled out, crossed out, and we just want to make sure — my daughter just wants to make sure — that his wishes are carried out.” Mia went on to explain that St. John’s affairs were in order and shared, “I mean he had a life insurance policy — I was the beneficiary.” Over talk of a recent court date, Mia said a judge ruled in favor of St. John’s daughter Paris and that another date is set for April 19. “Paris doesn’t want to fight with her grandfather, she’s just trying to make sure that Kristoff’s wishes are carried out exactly as he wanted them. I talked to my husband every single day of [his] life. There were times when he was intoxicated, and there were times when he wasn’t, but there’s never been any confusion over his wishes. That has been consistent since day one. There was never any confusion. I know exactly what he wants, and, and I plan on carrying that out. I talked to him every day, and he trusted me, which is why he left me the life insurance — because he knew that there is no way I would go against his wishes.” Soaps.com will keep readers updated with any future developments. 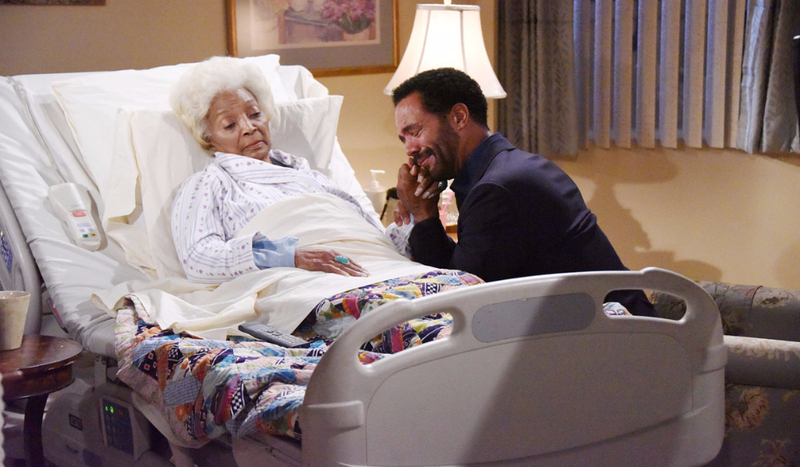 March 26, 2019: Soaps.com has uncovered that although Kristoff St. John’s daughter, Paris St. John, previously petitioned to be made executor of her father’s estate given he had left no will, the late Young and the Restless actor’s father, Christopher St. John, has now come forward with a handwritten will, in which his son divides his money between his two daughters, Paris and Lola. The Blast shared a photo of the handwritten will; its legitimacy must still be established. Christopher St. John has petitioned to be made executor, in hopes of quickly paying off St. John’s outstanding mortgage to avoid penalties. March 19, 2019: It was revealed that Young and the Restless’ Kristoff St. John died as a result of heart disease combined with an accidental alcohol overdose, as reported by the Los Angeles County coroner’s office today. Officially listed as “hypertrophic heart disease… and effects of ethanol” and classified as accidental, CBS Los Angeles revealed during a news segment. 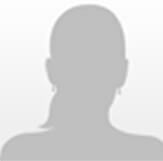 Earlier, Soaps.com reported news that Shemar Moore, Mishael Morgan, Victoria Rowell will return to Y&R for a few special episodes in honor of St. John and his character Neil Winters. February 26, 2019: It appeared a memorial was set for Kristoff St. John (Neil Winters). The Young and the Restless castmate Doug Davidson (Paul Williams) tweeted, “Ok. The truth! I drove to Kristoff’s memorial today… it’s next Monday. What have I become.” Soaps.com will update with information if details are released to the public. February 11, 2019: Kristoff St. John’s body will be buried at Valley Oaks Memorial Park in Westlake Village, California next to his son, Julian St. John. TMZ reports there are still no details on when and where his funeral will be held. February 4, 2019: Soaps.com was incredibly sad to report that beloved Young and the Restless actor Kristoff St. John (Neil Winters) has died at the age of 52. According to TMZ, St. John was found unresponsive in his San Fernando Valley, California home by a friend on Sunday February 3. The actor was pronounced dead at the scene, which reportedly had no signs of foul play, however one source claimed alcohol may have been a factor. St. John became engaged to Kseniya, a Russian model, in September 2018. He was divorced from professional boxer, Mia St. John, with whom he had two children, son Julian, and daughter Paris. The St. John’s were devastated by Julian’s suicide in 2015, launched a lawsuit against the mental health facility where he had been living, and Kristoff St. John was hospitalized for a psych evaluation after threatening suicide himself in November 2017. Together, they launched the El Sabor es Poder (Knowledge is Power) Foundation for mental illness. In a since removed tweet, Mia St. John addressed her ex-husband’s death, and posted in all caps, “That hospital killed our son @TheArtofJulian then my husband @kristoffstjohn1 That’s what happened! They killed my family.” St. John was also married to Allana Nadal from 2001 – 2007, and they had a daughter named Lola, who the actor also leaves behind. The actor, who played Neil on Y&R since 1991, was also known to daytime audiences for his role of Adam on Generations. One of St. John’s earliest and most memorable roles was as Ahmad Abdul Rahim on The Bad News Bears. 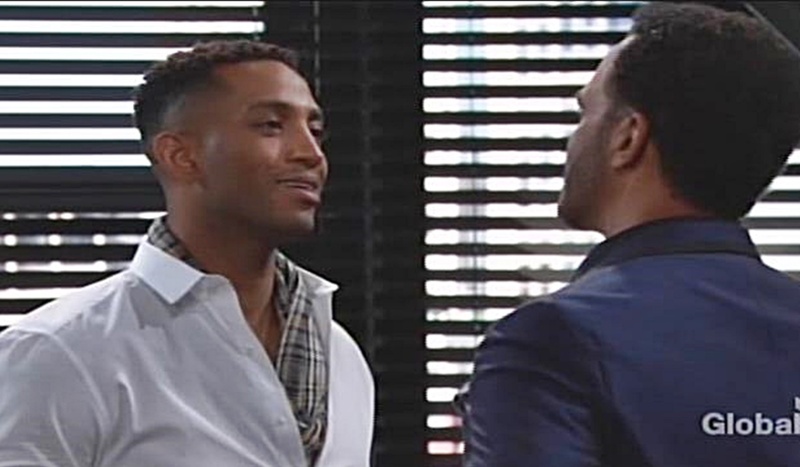 The actor won 10 NAACP awards and two Daytime Emmy Awards (one for Outstanding Younger Actor in a Drama for Generations and one for Outstanding Supporting Actor in a Drama for Y&R) with 11 nominations overall. In 2014 his film, A Man Called God took home the Golden Palm Award for Best Picture at the Beverly Hills Film Festival. Soaps.com’s thoughts are with Kristoff St. John’s family at this difficult time, and with the many friends, castmates, crew, and fans who loved him. We share your sadness; he will be dearly missed. Ok. The truth! I drove to Kristoff’s memorial today… it’s next Monday. What have I become. I’m heartbroken over the news of @kristoffstjohn1 💔… I have no words. He always had something powerful to say.. I’m devastated. Kristoff, you were such a loving, caring beautiful soul. You always had a smile and kind word to say. You were such a light. This photo shows exactly the man you were, humble and generous. I will forever remember you just like this. The world truly lost one of its finest. Rest easy in Gods arms my dear friend. This shot is from my first year @boldandbeautifulcbs. We had a round table discussion about diversity in daytime during black history month, in anticipation for the @naacpimageawards. Needless to say, we all sat with ears open, learning from @kristoffstjohn. Father. Actor. Entrepreneur. Visionary. Warrior. Light. This is such a loss. I can only hope he knew how much he is loved. And that he is with his son now. At peace. With great respect, love and gratitude…Rest Well, dear one. I’m at a complete loss for words right now. I met Kristoff when I was into my second month on Guiding Light. He was always so generous and kind. Rest In Peace, bro. Your family and friends are in my prayers. @kristoffstjohn #iwillmissyou #thankyouforyourkindness #thankyouforyourlove #thankyouforyourfriendship sending my love and thoughts to your family! a sweet soul. after a few scenes with you and @brytonejames that day you caught me taking a photo behind a plastic filter that I had found on the ground and instead of laughing at me you said “wow that’s so cool! can you show me?” sharing time with you was a true blessing. I’m so sorry.